The Women in Engineering Program offers several camps and events for K-12 students, geared toward girls and young women, to teach them about engineering and other STEM topics and inspire them to join the Cockrell School of Engineering. 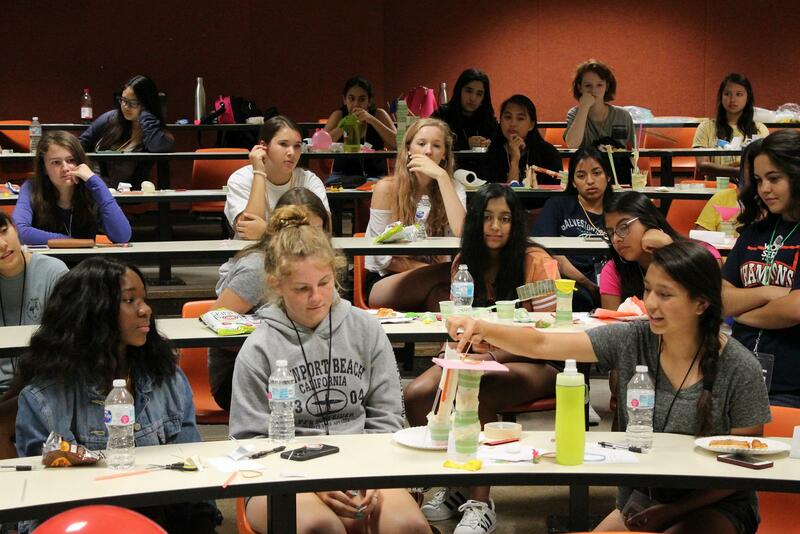 WEatUT (Women Engineers at The University of Texas at Austin) is an overnight summer camp for rising high school seniors to explore how engineering benefits society and impacts the world. CREATEatUT is a summer camp for students going into their junior year of high school who have an interest in math, technology, science or engineering. YOUatUT is a one day pre-college event for high school students (rising 9th-12th grade students) interested in exploring the different engineering careers that The University of Texas at Austin has to offer.